The Caucasus is the geographically-isolated mountainous region north of Persia between the Black and Caspian Seas. The diverse population of this area primarily consists of Armenians and Azeri Turks; however large groups of Georgians and Kurds also inhabit and produce rugs in this territory. The designs illustrated in these weavings are sparsely decorated with large-scale patterns of stylized flora appearing as abstract geometric elements. The impact of these designs is heightened by the usage of a limited number of contrasting primary colors. 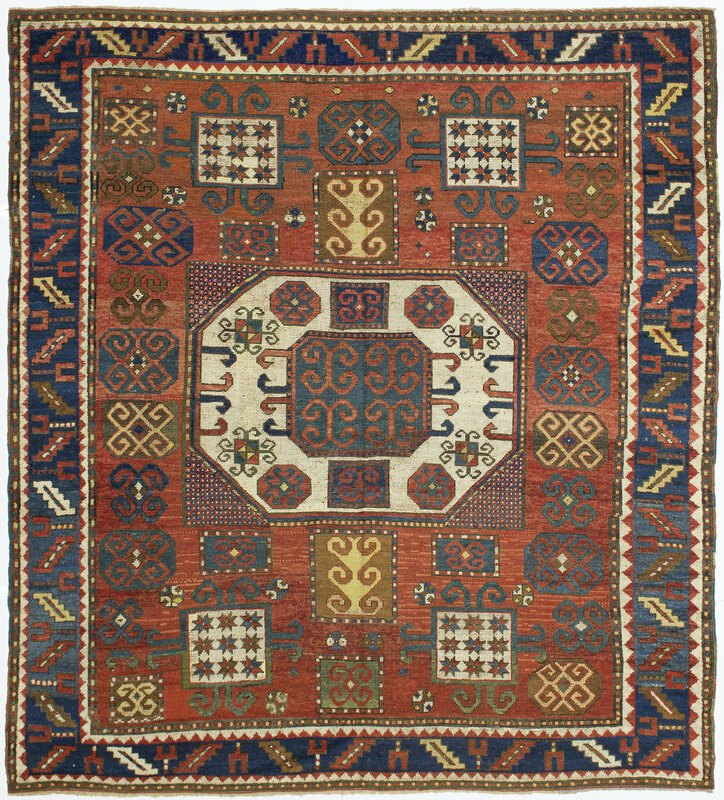 Kazak rugs are woven in the southern Caucasus in the villages between the towns of Tiflis and Erivan. Rugs produced in Karachopf are often woven in square sizes, having large central rectangular medallions flanked by four corner ornaments. Examples with repeat medallion patterns, some within a double prayer niche surround, are also made here. Another characteristic of these weavings is the usage of a radiant green color, often used to enhance the field.